Upon King John’s ruthless revenge against her family, Lady Merry Ellison takes refuge with her band of homeless children within the forests of England. Merry and the “ghosts of Farthingale Forest,” as she and the other orphans are called, take risky measures to ensure their survival amidst threats against their lives. The ghosts almost always remain hidden—until a high-jacking of gold goes wrong. Timothy Grey, Merry’s former best friend and now an assistant to an earl loyal to King John, managed to stay alive after the destruction of Ellsworth. Now an assistant to an earl, Timothy is working to make a name for himself; however, the price for recognition could came at Merry’s expense. When the two of them come together—and Timothy’s reputation rests upon his capture of the ghosts—Merry and Timothy face their greatest adversaries…knowing their own hearts. Dina Sleiman’s Dauntless is a young adult novel with so much more than what can be held within those two words. Young adult, or YA as the genre is referred to in the publishing industry, revolves around characters who experience a coming of age. While the Dauntless characters certainly experience maturation over the course of the novel, this story is about so much more than the transition from childhood to adulthood. Sleiman has created a world of both magic and reality within the confines of medieval England that brings readers into the hearts of teenagers and the world of adults. With a gripping tangle of faith, friendships, romance, and survival, Dauntless should be on everyone’s to-be-read list regardless of the reader’s age. Hailed amongst some readers and reviewers as a female version of the story of Robin Hood, Dauntless stands on its own as a strong story that teaches readers about faith and love from the perspectives of teenagers fighting to survive during a time in which loyalty to the monarchy ensured your life. Merry, Timothy, and Allen—three of the main characters of Dauntless—form a dichotomy of beliefs and backgrounds that support the themes of the novel. Through Merry, Sleiman weaves such ideas as women’s roles, gender equality, and feminism; through Timothy, recognition within family; and Allen, leadership and perseverance to pursue one’s goals in life. Each of these characters experienced trials and tribulations in his or her life but found the courage to fight for their lives and dreams. All readers, but especially teenagers, will find Merry, Allen, and Timothy worthy examples of inspiration. As a Christian fiction YA novel, I found Dauntless to have strong threads of faith that bring the messages of Christianity to readers without becoming overbearing. Sleiman presents her messages in both overt and subtle manners, making Dauntless an excellent choice for readers familiar and unfamiliar with the faith. Christian readers will appreciate the overt themes of staying strong in your faith through trials and blessings and of questioning God’s will, while readers not as familiar with Christianity will draw upon the subtler themes of kindness and unexpected blessings. I am not one who necessarily looks for preaching in novels, but when reading a Christian book I do want a strong presence of Christian themes, morals, ideals, messages, and description—Dauntless has all of these, and I hope to find more novels such as this one in the future. I happened upon Dauntless through an email thread within the ACFW, with no previous knowledge of Sleiman or the novel. Now just a short time later I have found a new favorite author, novel, and series. 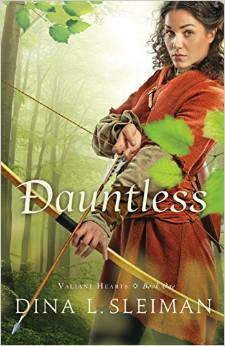 I could not be more pleased to have read Dauntless and am eagerly anticipating Sleiman’s next novel in The Valiant Heart series, Chivalrous (to be published by Bethany House in late 2015). Though once a baron’s daughter, Lady Merry Ellison is willing to go to any lengths to protect the orphaned children of her former village. Dubbed “The Ghosts of Farthingale Forest,” her band of followers soon become enemies of the throne when they hijack ill-gotten gold meant for the king. Dina Sleiman writes stories of passion and grace. Most of the time you will find this Virginia Beach resident reading, biking, dancing, or hanging out with her husband and three children, preferably at the oceanfront. Since finishing her Professional Writing MA in 1994, she has enjoyed many opportunities to teach literature, writing, and the arts. 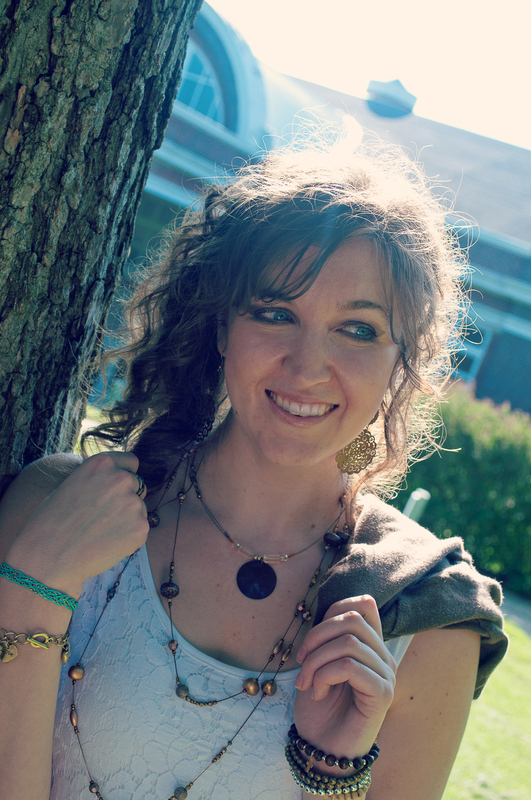 Her debut novel, Dance of the Dandelion with Whitefire Publishing, won an Honorable Mention in the 2012 Selah Awards. Also look for her novels, Love in Three-Quarter Time, Dance from Deep Within, and her Valiant Hearts series with Bethany House Publishers. Dina serves as an acquisitions editor for WhiteFire Publishing as well, and she loves to teach at writers conferences throughout the US. For more info visit her at her primary website. 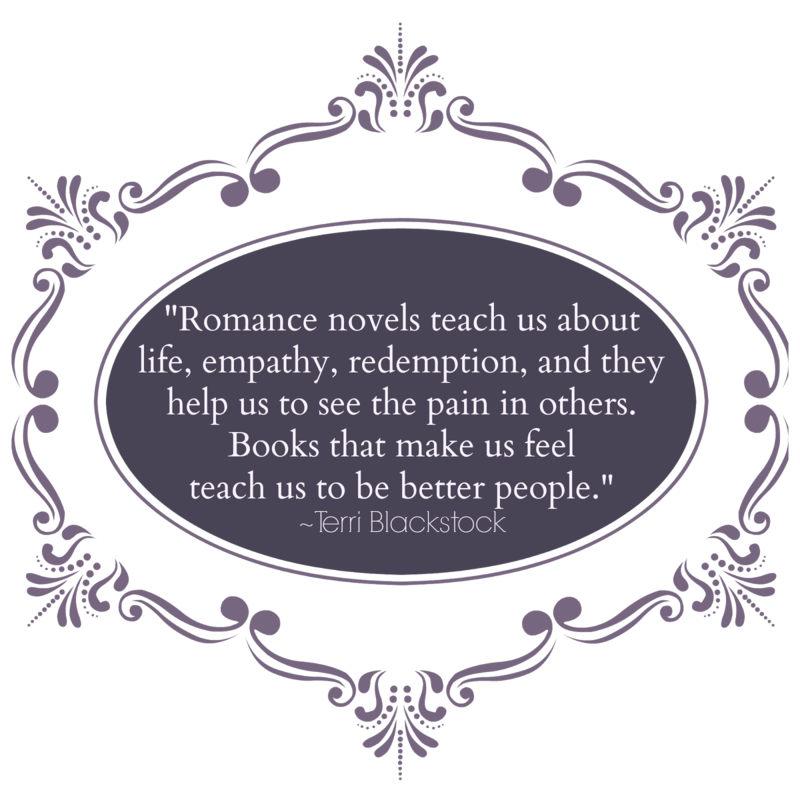 Today popular Christian fiction author Terri Blackstock visits Edgy Inspirational Romance to talk about the value of lessons readers can take away from romance novels. Amongst Terri’s thoughts about the value of novels is her belief that readers can take away different ideas about the world around them when they are able to experience situations and emotions through the characters of their chosen reading material. “…books teach children empathy, to walk a mile in someone else’s shoes, to be kind to people who are hurting. More than that, they teach us to see the pain of others,” says Blackstock. Stop by Edgy Inspirational Romance today to read the rest of the article and learn about Twisted Innocence, Terri’s upcoming book. You can find Twisted Innocence here. 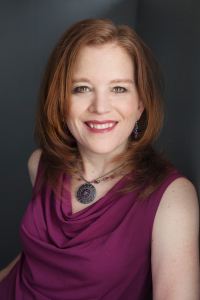 Terri, a New York Times bestselling author, has been a successful novelist for over twenty-five years and believes her calling as a writer comes having her imagination as her best friend during the many years she moved and changed schools overseas as a child of an Air Force family. 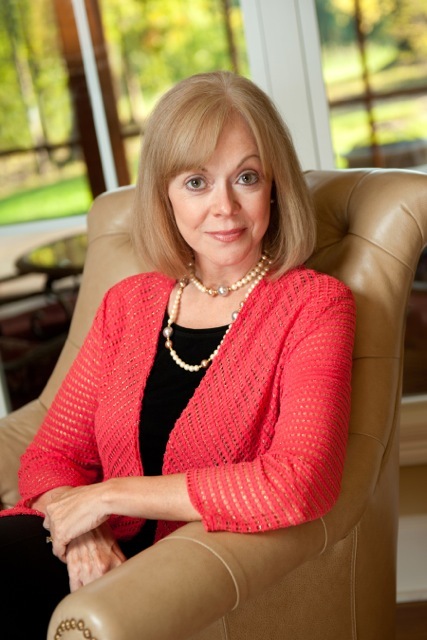 She writes suspense novels in which she weaves threads of hope that stem from her faith. 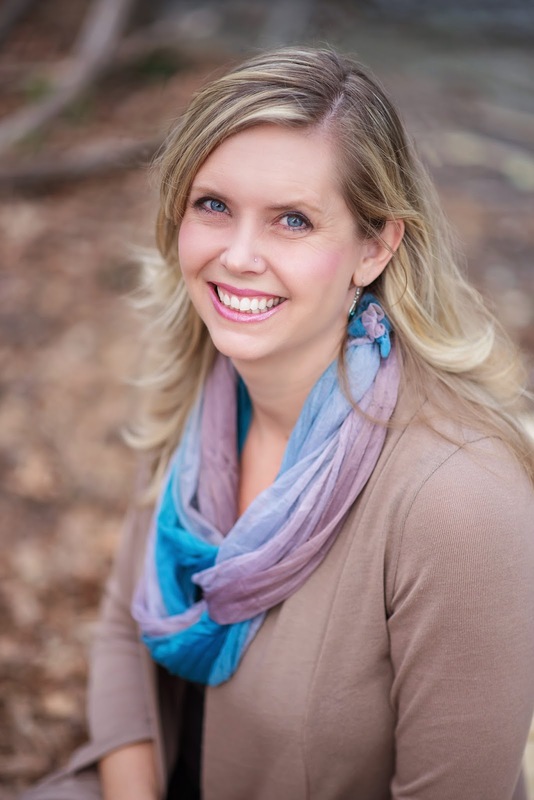 Jody Hedlund is known in the Christian fiction industry for choosing settings, time periods, and plots that reach far into the depths of human compassion and trials. Her first foray into the young adult genre follows her typical path—with a new and positive exception that she ventured into the lands of a medieval fairy tale story. Writing a young adult novel presents different challenges than Jody most likely encounters when penning her adult Christian fiction stories: teens except fast-paced entertainment but writers are potentially limited by the accessibility of language and depth of the stories that young adult readers are able to handle. Jody handles this transition well, and there is no uncertainty as whether or not teens or adults will enjoy this novel. 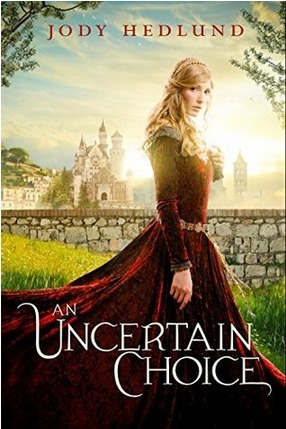 An Uncertain Choice is a winner of a young adult novel for its emphasis on an age-appropriate, clean, and exhilarating romance swept within a fun medieval story. An Uncertain Choice offers much to like about the story that teens and adults will gravitate to while reading this young novel. Jody is particularly adept at writing descriptions that pull readers directly into her books. While I admit I have read and watched my fair share of medieval stories that might have helped me grasp the setting of this book, the descriptions within An Uncertain Choice we so well written that I felt I was one who had less than a month to choose my suitor. Considering I will never have knights wooing me or to watch a jousting tournament, I thoroughly enjoyed this aspect of An Uncertain Choice. Jody’s adult Christian historical fiction will probably always hold a stronger place in my heart because those novels tend to have characters similar in age to myself, and those are characters with whom I identify. However, in recent years the young adult genre is becoming more popular with adults, and if I am going to read one of these books I will most certainly always choose Jody’s novels first. An Uncertain Choice is a great novel for teens because it centers around male and female characters of a young adult age who question the world around them without giving in to worldly temptations. 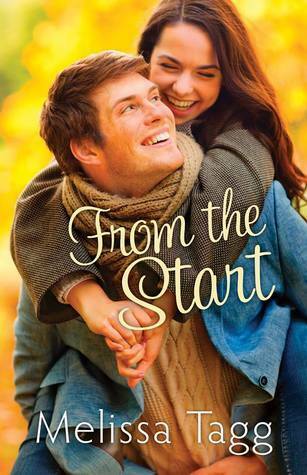 Teens will also enjoy Jody’s novel because she lets her characters make wise decisions based upon faith and reason while still experiencing all the emotions with which her readers identify. I recommend this novel for teens and adult alike and am very much looking forward to the rest of the books in this series.